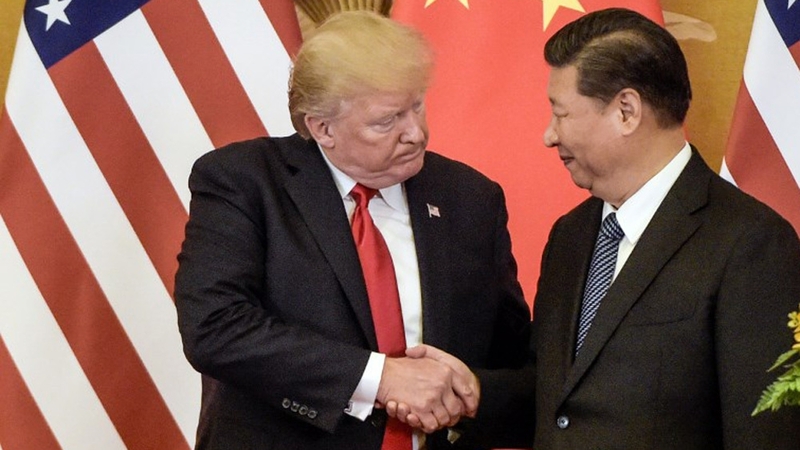 US President Donald Trump and his Chinese counterpart Xi Jinping have expressed optimism about resolving a bitter trade dispute, following a phone conversation between the two leaders. China‘s foreign ministry on Friday said the call, which took place on Thursday, had been “extremely positive” and that the two leaders think they should enhance economic relations. Trump had earlier said on Twitter that he held a “very good” conversation with the Chinese president “with a heavy emphasis on trade”. The US president said talks were “moving along nicely” and that he planned to meet with Xi on the sidelines of the G20 summit at the end of November in Argentina. “The two countries’ trade teams should strengthen contact and conduct consultations on issues of concern to both sides, and promote a plan that both can accept to reach a consensus on the China-US trade issue,” Xi told CCTV state television. The positive comments from the leaders impacted on markets in Asia and Europe on Friday, as investors eyed an end to the prolonged trade dispute. The two countries have been locked in an escalating trade war this year, with each side imposing tariffs on hundreds of billions of dollars’ worth of imports from the other. Trump, who began targeting China’s trade policies before he entered office, has imposed three rounds of tariffs on Chinese products worth more than $250bn since the beginning of his administration. He has also threatened to impose tariffs on a further $267bn worth of Chinese goods. For its part, Beijing has imposed tariffs on $110bn worth of US goods. Citing people familiar with the matter, the report said it was unclear if Trump was easing up on demands that have been resisted by Beijing, and cited one person who said intellectual property theft was a potential sticking point in a deal. “There is a long way to go” on negotiations, the US official said, according to the tweet. NEW: A senior administration official tells me that the report president Trump is ready to cut a trade deal with China is not true. “There is a long way to go” on negotiations, the official said.